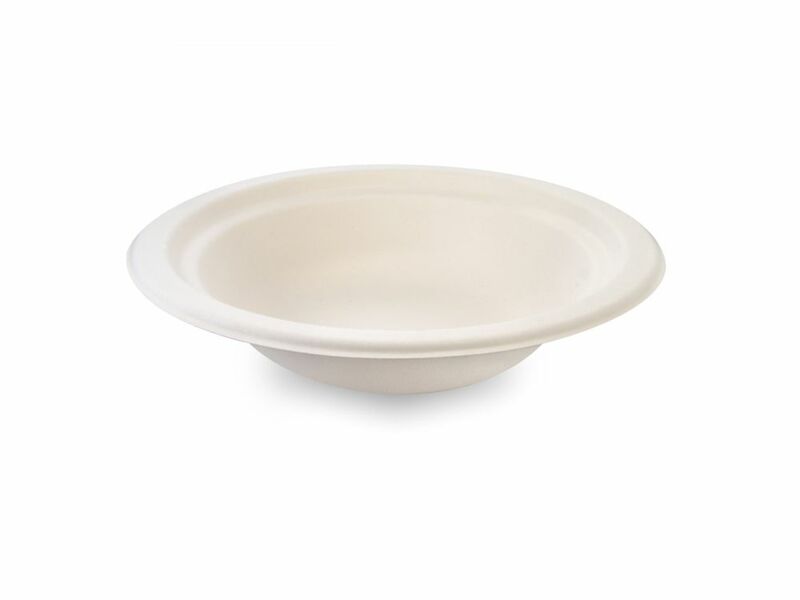 Vegware provides an economic and environmental alternative to oil-based plastics in the food service sector. Using Vegware instead of traditional products reduces the use of non-renewable resources, enabling a shift in the way waste is managed. The aim of Vegware is to provide people with the best biodegradable food service products in the world at economically sensible prices. Knives, forks and spoons made from corn and potato starch, biodegradable and compostable. The hot drink cup revolution, compostable hot-drink cup and lid combination, completely biodegradable and suitable for composting. BPI approves Vegware compostable hot and cold cups. Vegware has held Din Certco and Ok Compost certification for hot cups and PLA products respectively since mid-2009. These items have now been approved by the Biodegradable Products Institute (BPI), giving consumers and businesses alike confidence that Vegware US is their trusted source of compostable packaging in the US. Vegware products include bio-degradable knives, forks and spoons as well as compostable plates and bowls. 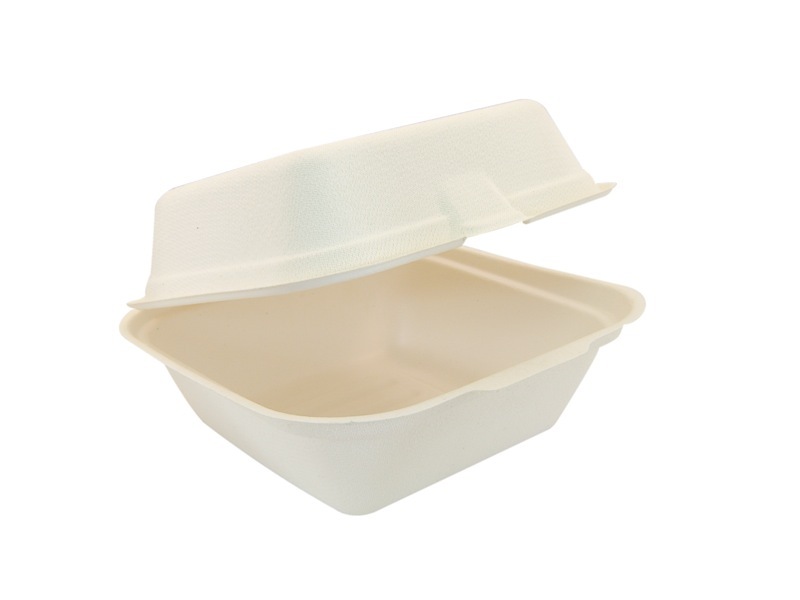 Vegware also has a variety of compostable take-out boxes and fully compostable hot drink cups with an eco-friendly corn starch rather than plastic lining. 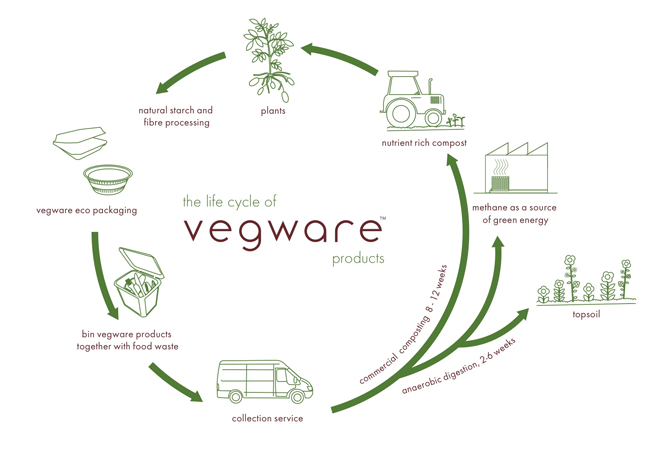 The life cycle of Vegware products...from soil to plants to products to soil.